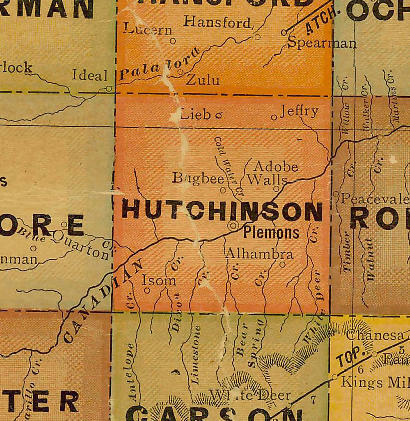 "Hutchinson County, named for prominent judge and writer Anderson Hutchinson, was one of 54 counties created out of the District of Bexar in 1876 by the Texas Legislature. 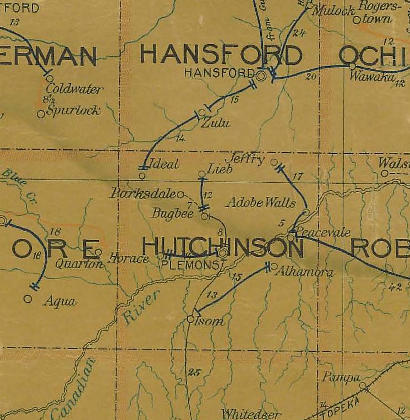 It was not until 1901, however, that the county was officially organized. That year a temporary county courthouse was erected in the county seat of Plemons. A permanent courthouse was built in Plemons by contractor E. E. Ackers. 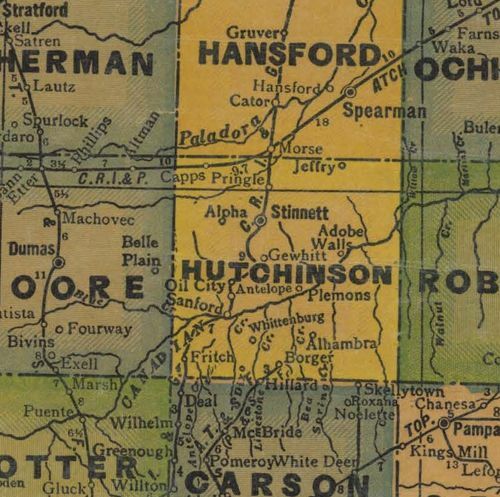 Stinnett replaced Plemons as Hutchinson County Seat in 1926. 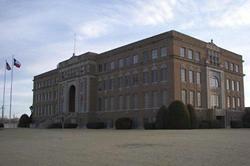 The county courthouse was temporarily housed in an office building in downtown Stinnett in 1926 before this courthouse was erected in 1927 at a time of major oil discoveries in the area...."